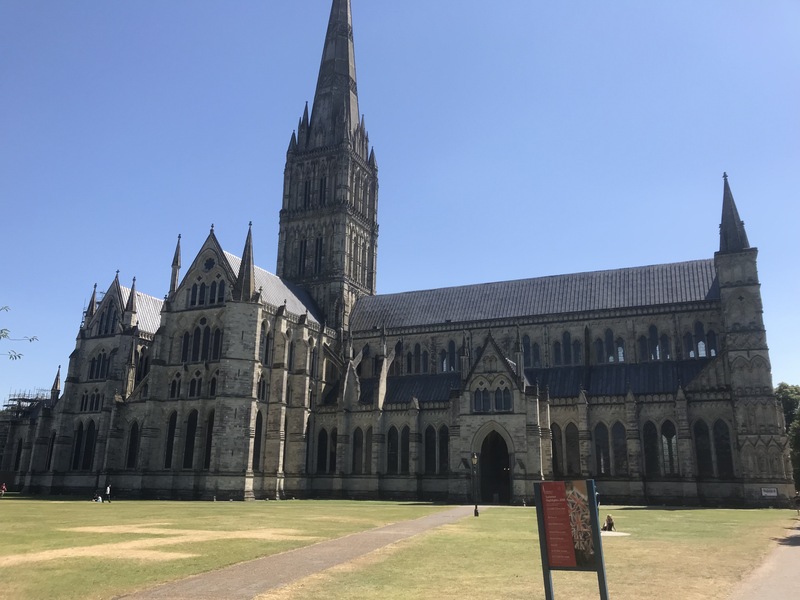 On my recent overseas trip, we travelled to Salisbury and the magnificent cathedral there. Of particular interest is the Chapter House, and the Magna Carter residing there. 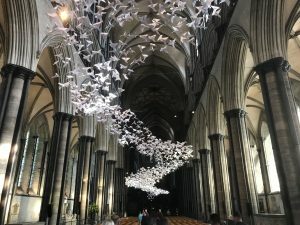 The cathedral had a wonderful display of white paper origami swans soaring the entire length of the building like a huge wave of joy. The impact as you walked in was amazing, and drew attention to the magnificent alter at the other end and all the historical figures that are laid to rest in this place. 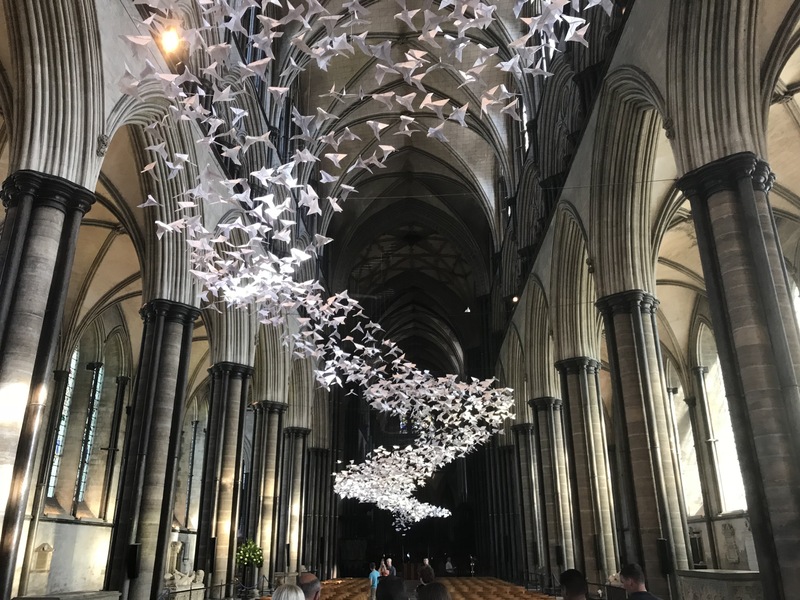 One of the many volunteers informed me that this was to represent peace and hope for the future despite the tragedy that all to often disrupts the modern world. I was struck by the strong sense of pride in what this building stands for by the local community and the feeling of being united and keen to share this with any who visited. We left the main church building and then visited the adjoining Chapter House. This magnificent building is similar in structure to Westminster and a beautiful example of early English gothic style. It is octagonal in shape, and features a slender central pillar and wonderful decorative medieval frieze. The frieze circles the interior above the stalls and depicts scenes and stories from the books of Genesis and Exodus, including Adam and Eve, Noah, the Tower of Babel, and Abraham, Isaac and Jacob. Around the walls are seats where the Dean and Chapter would sit for their meetings to decide on church business. 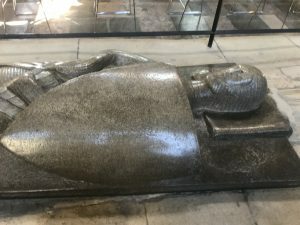 The chapter house also displays the best-preserved of the four surviving original copies of Magna Carta dating from 1215. This copy was brought to Salisbury by Elias of Dereham, who later became a canon at Salisbury. He was present at Runnymede in 1215, and was given the task of distributing some of the original copies. This document appears very well preserved (considering its’ age). It is written in latin, on parchment, and with a quill pen. This charter was forced on the reigning King John by the barons who were unhappy with the way he was ruling England. It stressed that everyone, even the king, had to treat people fairly and that no-one was above the law.  This document underpins our attitude to the rule of law by guaranteeing the rights of individuals, the right to justice and the right to a fair trial. A well established source of our entitlement to liberty! 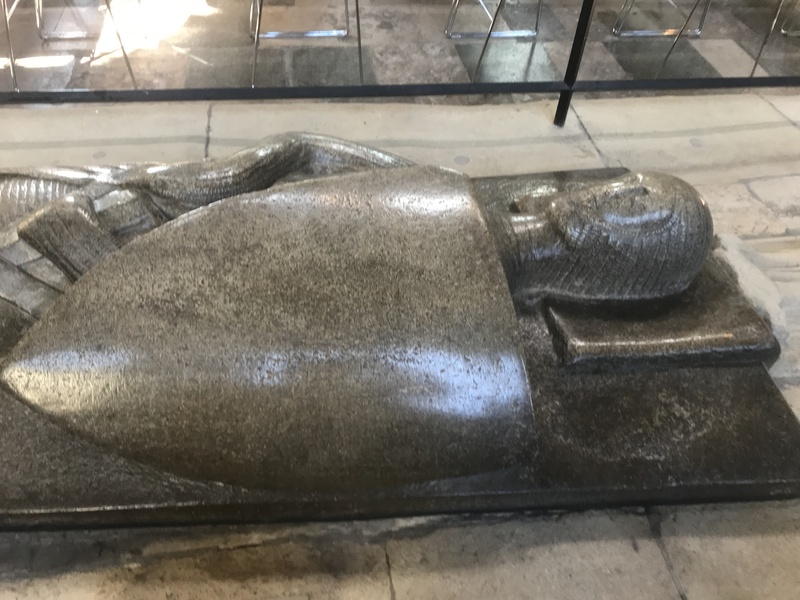 John rejected it later that year, but died soon after, and it was reissued in the name of his nine year old son, Henry III, which ensured its survival and support from subsequent monarchs. As a lawyer, I have heard the Magna Carter spoken of in hallowed terms as one of those special documents still providing today for fundamental rights. I was keen to view this document and amazed at how simple and unadorned it was. I am aware that some clauses of the Magna Carta continue to be relevant today and have inspired the American Bill of Rights, the United Nation Declaration of Human Rights, and the constitution of many other democratic countries. It continues to be so important historically that in 2009 the four original documents were entered into the UNESCO Memory of the World Register. It is not surprising to learn that current jurisprudence indicates that there are really only three clauses of the original Magna Carta that are still part of English law today and they are written in such broad terms that the courts can’t really interpret them as it does not stand up very well to modern statutory interpretation. However the importance of the Magna Carter is more because of what it stands for more than what it says, or rather in what later generations claimed and believed it had said! This made me think of the importance of Agreements and what they stand for symbolically rather than the details contained in the document. Financial Agreements and Orders provide not only for a set of arrangements agreed to by the parties to achieve a separation of their assets and liabilities, but more importantly closure for them of their shared life together and financial independence. Parenting Agreements and orders do not provide the same sense of finality, but they often represent a joint approach to providing the best for their children and a sense of moving forward as co-parents rather than a couple. It is easy to get caught up in the details and overlook the value of what the document actually represents for the parties! !